Ok, ready for some consciousness talk? Let’s dive right in and explore another of the three principles. The Principle of Consciousness and the fact that we are aware. You are not who you think you are. There, I said it. I went there. Yup. To the land of woo-woo and deep spirituality. Let’s get straight to the point and stop pretending. You are not who you think you are. You are spiritual. You are formless energy bound by no time and no space. You are a being, a consciousness, an awareness exploring the divine-human experience. You’re the observer and the one who listens, feels, hears, senses this whole thing called the human experience. That’s who (or what) you truly are. You are a conscious being, the same being that was there when you were born, The same one when you were fifteen that stood in front of a mirror staring at your own eyes and wondering ”who am I?”. Same as today, looking at your selfie and wondering ”who am I?”. Yup. That’s the being I’m talking about. A spiritual being. An observer. A curious, divine and powerful being, capable of stepping back within, retreating, observing, detaching, resting, listening and capable of stepping out and living, doing, exploring and getting all caught up in the illusion of life. This inner being is you. Who you’ve always been and who you’ll always be. Energy. Divine consciousness. We can have zero awareness of the fact that we think and that we are aware. We can be totally oblivious to the fact that we are consciousness itself and live our lives believing that we are what we see in the mirror and that we are what our thoughts tell us who we are. And that’s when we suffer. We are stuck at the sub-zero level of consciousness and we struggle terribly. We get angry and upset with even the tiniest thing, we get angry with people for annoying us, for letting us down, for disappointing us once again. We feel hopeless and stuck and life is an uphill battle. Welcome to the lowest level of consciousness. Your ticket to the human experience ride feels like punishment. Ugh. Once we get to see that ”Oh! Maybe I’m not my thinking” and you start having awareness about the fact that you actually hear your thinking and start to understand that your life is created through the power of thought then life gets a bit simpler. You don’t walk around being triggered by everyone and everything all the time and you ease up a bit. You’re more like ”Whatever, talk to the hand” and you chill. Because you have awareness that it’s just thought. That it’s your own thinking that is bothering you and not your boss (insert neighbor, partner, kid…or whatever you feel is the one person that always pisses you off). 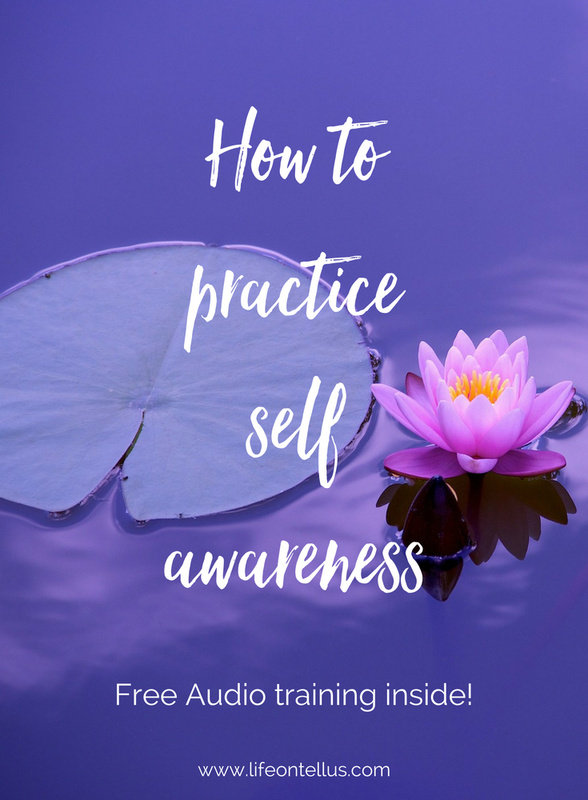 As you develop this awareness you also come to deepen your understanding for who you truly are and you come to see something else. That your consciousness is bigger than you, your little self. That my consciousness is your consciousness and that we are one. I know. It’s getting totally woo-woo here. We are ONE, you guys. Told ya I’d go there. We are one energy. One consciousness. One awareness. Let’s all hold virtual hands here and sing kumbaya for a moment because like it or not this is truth. The truth is that if you test this for yourself you’ll come to see this truth as well. I encourage you actually to try it for yourself. Do a little experiment! Who are you? Are you the one who talks all day long in your head? Then who is the one listening? 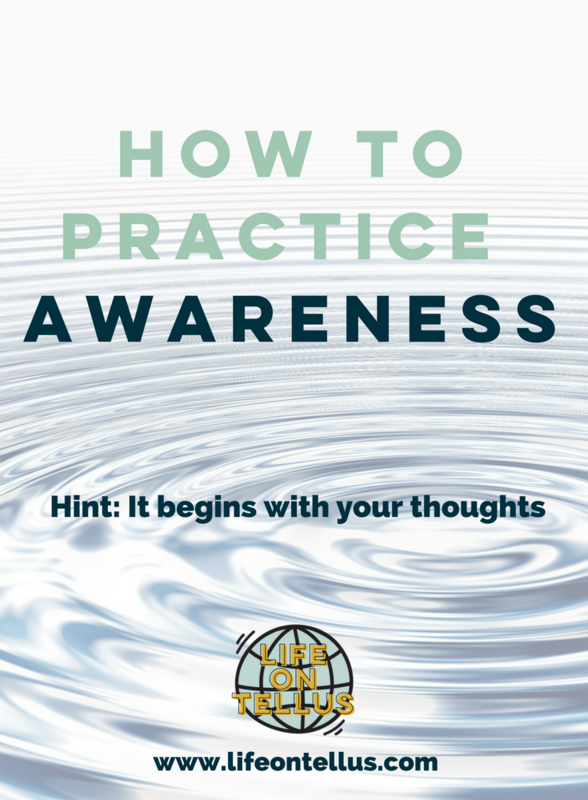 If you sit down for a sec and wait…can you sense that you are the observer of your thoughts? Can you sense that you are not even in control of your thoughts but that they have their own will and come and go as they please? Can you detach from the thoughts, take a step back and see if you are there within, observing? You are that spiritual being. We as human beings have the capacity to step back and contemplate what’s going on in our inner world and we have the ability to detach from our own thinking. The Three Principles of thought, consciousness and mind bring everything into creation. These three principles create the reality we live in. Consciousness makes us able to experience it all. Without consciousness, we wouldn’t be able to experience life as we live it. We wouldn’t be able to feel and participate in the rollercoaster that is called life. Before we enter this world it should be a warning sign that says ”Welcome to the human experience! This ride feels very real but make no mistake, it’s just an illusion. Fasten your seatbelts. Enjoy the ride!”. Consciousness lets us enjoy the ride. Experience life in full color and with full senses. Absolutely fantastic, extraordinary and mind-blowing if you think about it. THIS is who you really are. Infinite consciousness. Pure consciousness. All life is energy that has taken form. All life is created from a formless energy. And as Sydney Banks would put it, the fact that consciousness is infinite is good news. It means that you'll never stop growing. That's there's an infinite amount of beauty and love to explore. We are consciousness itself. Each and every one of us is pure consciousness. We all have within us this divine secret.